Bearing this verse in mind, if we understand verse 107 to be regarding verses of the Quran being abrogated or causing them to be forgotten, then the link and connection between these two verses ceases to exist. Therefore, the interpretation suggested by non-Ahmadi Muslim scholars concerning these verses is incorrect. As reference is being made to the People of the Book, the verse, in other words, means that it is God’s practice that when bringing a new law, He renders the previous law as abrogated and brings forth for mankind a new law to follow with a new and improved set of instructions, fit for being applied in the respective climate and circumstances. 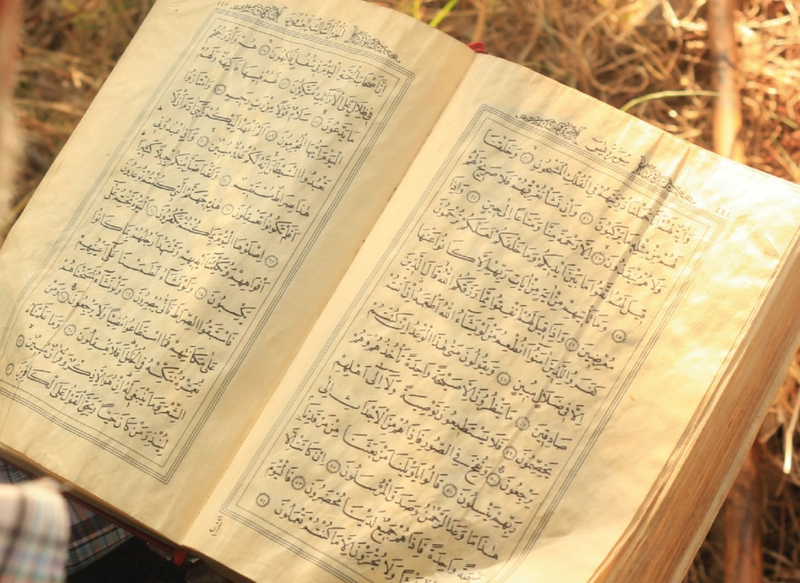 Verse 107 does not refer to the abrogation of Quranic verses. It discusses a recurring practice of God, according to which the Quran abrogated commandments in the law of Mosesas and presented a more befitting set of instructions. The commandments in Moses’ law that were either forgotten by the People of the Book or faced interpolation and were subsequently removed from their holy scripture, but at the same time being laws that had universal effect, have been revealed once again in verses of the Holy Quran. Those few who raise allegations against the Promised Messiah, Hazrat Mirza Ghulam Ahmadas of Qadian that he believed in the concept of naskh [abrogation of Quranic verses] are incapable of presenting a single extract in which Hazrat Ahmadas expressed his inclination towards this belief. They merely rely on irrelevant excerpts. With reference to this, opponents allege that in accordance with past commentators, the founder of the Ahmadiyya Jamaat agreed with the concept of naskh, that verses were caused to be forgotten, whereas the fact is that Hazrat Ahmadas has not mentioned anywhere that verses of the Quran were made to be forgotten and that the Holy Prophetsa, the Companionsra and early Muslims were not able to recall a specific verse. The principle that Hazrat Ahmadas is indicating here is that God Almighty causes His revelation to be forgotten and renders it abrogated, and in accordance with this, he received a similar sort of revelation and suggested that after forgetting it, if God desired then He would inform the Promised Messiahas of that news again. This incident is of 1903. We have already presented extracts from Al-Haq Mubahisa Ludhiana (1891) and Blessings of Prayer (1893) in which Hazrat Ahmadas expressed his belief that there can be no conflict or contradiction in verses of the Quran. To attribute belief in naskh to someone who, years prior, expressed his disagreement with such a concept is dishonesty. Where does it say here that verses of the Quran have been abrogated? This was said in 1908 and, as mentioned earlier, you have read the extracts with reference to his belief in the Quran’s unique qualities of not being self-contradictory. Reflect on this passage. Where is it implied that because there are contradictions and conflicts within the Quran, therefore such and such verses were abrogated and such and such verses were declared their replacements. Here, as before, reference is being made to the standing principle of God that nothing other than the word of God can abrogate the word of God. Accordingly, all the divine laws that were abrogated in the past were done so by God alone, and not by any prophet or individual. In the extract above (page 90) the Promised Messiahas is discussing that no Hadith can abrogate a verse of the Quran as these sayings of the Prophetsa serve as explanations and interpretations of some Quranic verses. However, some fuqaha (jurists) are of the view that Ahadith can render some verses abrogated. In light of the 107th verse of Surah al-Baqarah, in which the topic of abrogation has been touched upon, the Promised Messiahas proves in this excerpt that not a single Hadith can invalidate a verse of the Quran and that only verses of the Quran can do that, as was done to previous Shariah’s (divine laws). Unfortunately, however, they are incapable of backing such a serious allegation. The fact is that the Promised Messiahas has written on multiple occasions that there are no contradictions among verses of the Quran, thereby nullifying the concept of naskh. By seeking guidance from Hazrat Ahmad’sas writings, The Review of Religions wrote a series of articles in 1907 in the lifetime of the Promised Messiahas refuting the concept of naskh. Had he been in favour of naskh in the Quran, his followers would not have been able to write this series against Hazrat Ahmad’sas viewson the matter. And if, by some means, anyone was able to write this series against his views, then surely it would have followed with either the series being cut short or a written clarification and response. But as we know, that never happened. Research conducted by a panel of scholars at the Research Cell, Rabwah.